UK distributor of headsets. Plantronics, Jabra, Peltor, Sennheiser, Avalle headsets for business. 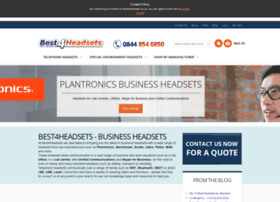 Offering headsets for Office, Call Centres, Unified Communications, VoIP and Home Usage.